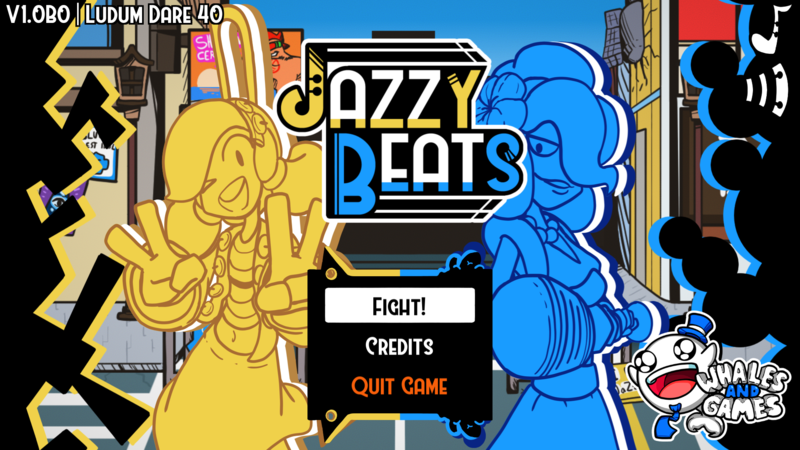 It's been almost half a year since we have released Jazzy Beats, with it being our fourth project released here on itch.io. To all of those that have played and downloaded our games, and those which have posted some genuinely great videos showcasing your time with our games, thank you! We’re humbled by all your support and we’re glad most of you are having a whale of a time with our games! Jazzy Beats was developed for Ludum Dare 40, an event that pitches game developers designing and building games in the interval of 48 or 72 hours. In our case, the entirety of Jazzy Beats and all it's assets were developed on the latter time-span of 72 hours. 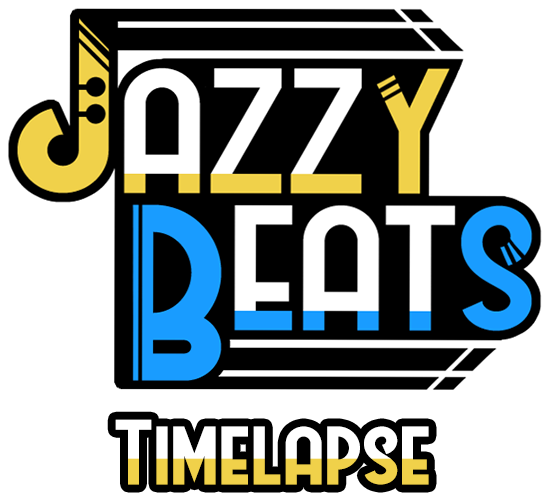 This means that several of the game's ideas and concepts had to be shortened for the game to be compacted to the allocated development time, which sometimes leads to results where the game design is not as fleshed out as it could be, and which such is the case with Jazzy Beats. At the moment, we don't have any upcoming plans regarding the development of Jazzy Beats. However, our team at Whales And Games is finally starting to tackle some bigger projects and finally complete several items we left pending in our back-log, including an update to one of our previous projects that we will be releasing in the (hopefully) near future! If you'd like to keep up with our game development chronicles, we also have our very own Discord server! We'd love to see you there and join up with us for some Fortnite. We'll be starting with some server activities soon as well! Going back to Ludum Dare talk, one of the things that is regular for members participating to do after their long development charade is to write a post-mortem describing the positives and not-so-goods of the game's development. We have been meaning to post it for a while now, but with members of our team exchanging countries for a extensive period of time, to master's degrees and exams, between other issues, we kept pushing it back. That's exactly what we're here to fix today. We've recently finished Jazzy Beats Timelapse & Post-Mortem for the world to see. We decided to finish both of them, as even if the game is already past its prime, we believe both timelapse and post-mortem are an amazing tool of retrospect and that there are lessons to learn regardless of how long it has been since we released the game. Unfortunately, due to the limit of characters that are allowed in a devlog here on itch.io, we had to separate the Timelapse and Post-Mortem into two distinct parts so we could publishing everything to itch.io without having to cut any parts of both. That being said, this first pass will focus on the timelapse, while the second part will contain the post-mortem on it's entirety! During the development of the game, we used Chronolapse to take a screenshot every half-a-minute of the game’s progress, and then we stitched them all together to produce a fast-paced timelapse of the game’s development. The reason for screenshots instead of video is that having OBS recording the whole action, even with a moderate computer, still takes a considerable toll on the CPU which causes slowdowns when using the Unity editor and considerable increases compiling times. For someone that's constantly returning to the editor after the slight change in code, that's a considerable stack of delays over-time. Screenshots also allow me to revise them and much easily cut sections where I get AFK or leave a window open for extensive periods of time (as I am performing stuff on the other monitor) without requiring a bulky video editor. It’s still hilarious for us how Lavasama, a character inspired by a joke the Ludum Dare community made at the time, was the very first thing added to the game. The jump in progress between the first and second day is also really noticeable. And that was Jazzy Beats' development speed up and fast-forwarded! If you're interested into having some insight into the development of Jazzy Beats and what we think were our Ludum Dare highlights and low-points, you can check-out them out over here!